I just came across Chad Beggs' site in which he showcases some playsets he's designed and built for Heroclix figures. 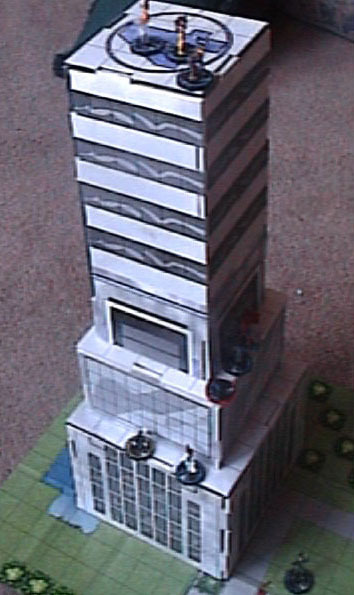 Besides the Baxter Building, he's also built the Daily Bugle, the Batcave and a warehouse. What's more, he's got the designs and art available as downloadable PDFs so you can make your own. Theoretically, these would also work fairly well with Minimates figures if you just wanted a backdrop for them. Some really nice work, and I doubt the photos do them justice. Is there a miniature Reed Richards available to slap in the face?